Reservations must be placed in advanced with ticket purchase to guarantee a seat. Wines from the historic Sette Ponti winery will be paired with special courses created by Chef Angelo di Biasi. 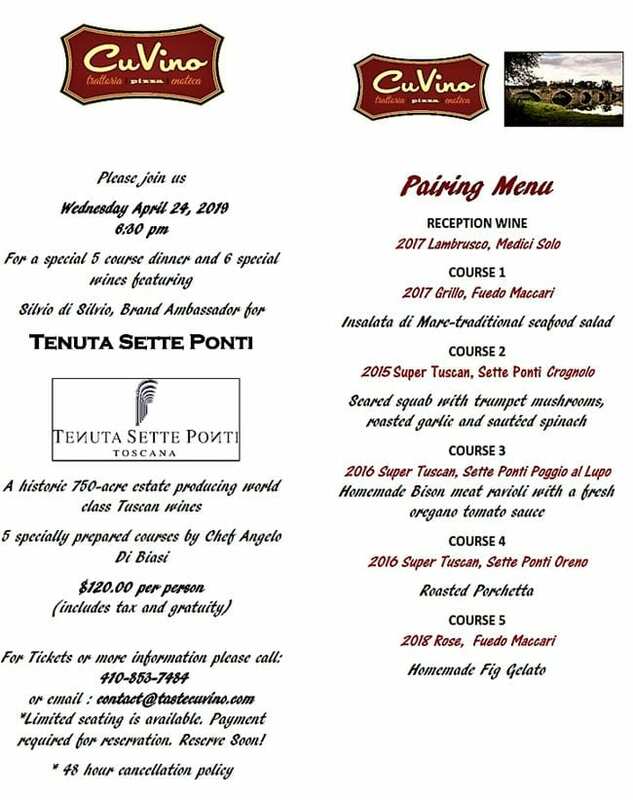 We are delighted to announce our next Wine Dinner featuring the wines of Tenuta Sette Ponti. We welcome Silvio di Silvio, brand ambassador of one of the most historic properties of Tuscany. 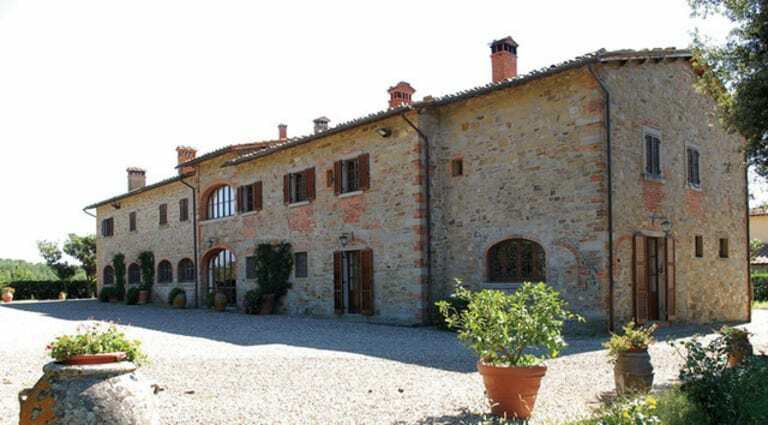 Tenuta Sette Ponti lies on historic land in the heart of the Chianti zone at the end of the Via del Monte, known locally as the Via dei Sette Ponti, in a beautiful hidden valley. Named for the seven medieval bridges crossing the Arno River on the road from Arezzo to Florence—one of which, the Ponte Buriano, is perceptible in the right far background of Leonardo DaVinci’s Mona Lisa—the estate has a storied history. Previously the property of the Princesses Margherita and Cristina Savoia d’Aosta, the core of the Sette Ponti estate was purchased in 1957 as a hunting retreat by architect Alberto Moretti, and is now the family property of Antonio Moretti, his son.